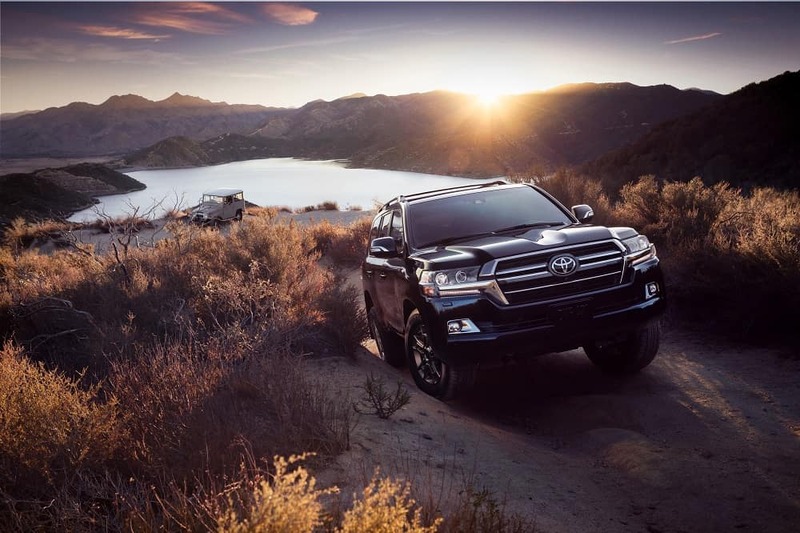 The Toyota Land Cruiser is the pinnacle of both luxury and rugged off-roading capability and today a new special edition trim level has been announced! To celebrate the long history and tough heritage of the N Charlotte Toyota Land Cruiser, the new Heritage Edition has been announced! This new luxury Toyota trim level celebrates the 60+ year heritage of the Land Cruiser with updated features unique to this special edition package. 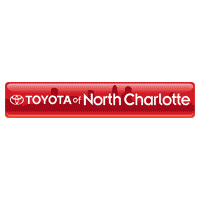 While we’re walking you through the new features of the luxury Toyota Land Cruiser Heritage Edition, Toyota of N Charlotte is also going to walk you through the interesting history of this iconic vehicle. The interior will be a two-row seating model (much like the original Land Cruiser). Paint color options like Midnight Black Metallic or Blizzard Pearl. The running boards and lower side moldings have been removed to enhance its rugged look. Fog lights and side mirrors are surrounded with darkened chrome. The interior is upholstered with black leather trim with bronze contrast stitching. Included all-weather floor mats and cargo liner. A vintage exterior “Land Cruiser” badge and uniquely styled black accented grille. This luxurious Toyota will hopefully be available at Toyota of N Charlotte and we can’t wait to share it with our Toyota family. Before its release, let’s dive into the interesting and lengthy history of the Toyota Land Cruiser. 1950: During the Korean War, the United States government asked Toyota to manufacture “Jeep-like” vehicles after a Jeep was used in Japan. 1951: Toyota’s BJ prototype was developed with more space and power than other comparable tactical vehicles of the time. 1954: The name “Land Cruiser” was coined by Toyota technical director Hanji Umehara. 1955: The luxury Toyota Land Cruiser’s second generation was introduced and called the 20 Series. 1960: Now upgraded, the N Charlotte Toyota Land Cruiser 20 Series became the 40 Series. This generation surpassed 50,000 vehicles produced globally and the 100,000th Land Cruiser was sold in 1968. 1999: Before the turn of the century, the N Charlotte Toyota Land Cruiser was in the 70 Series that featured several design changes and engineering upgrades. 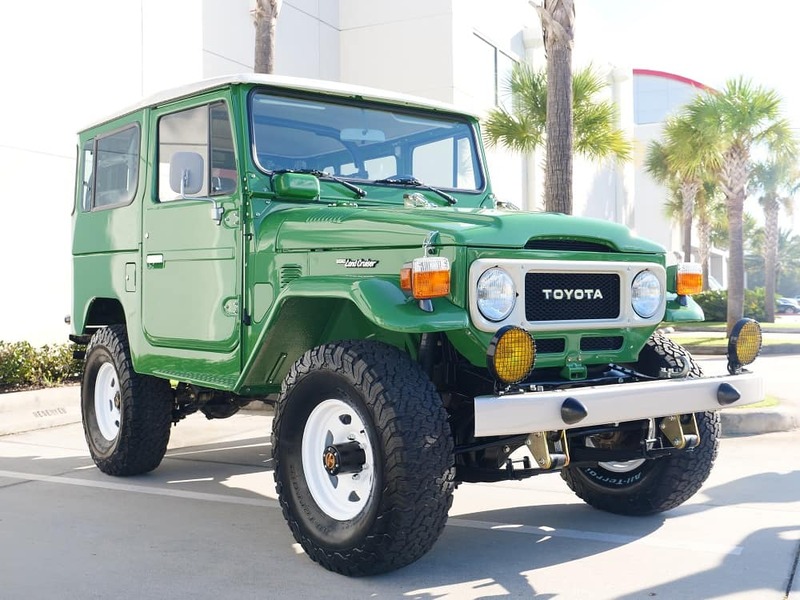 It was this generation’s Land Cruiser the first to use Toyota’s first turbodiesel V8 engine. Today: The luxury Toyota Land Cruiser is now hailed as a rugged but classy vehicle that’s equipped with top-of-the-line features and stylish looks. If you’re looking to get behind the wheel of the Toyota Land Cruiser, then it’s time to swing by our dealership and take a test drive. We’re located at 13429 Statesville Road and open seven days a week!